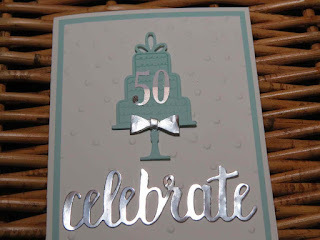 Karina's Kreations: Stampin'Up Celebration Time! I needed a special 50th birthday card for a friend and opened my Celebration time stamp set and coordinating celebration thinlit dies. The thinlit dies has so many pieces to them. I was so excited to see a die that makes a baby bow. This bundle is $60.00 so you can get a FREE sale-a-bration item. 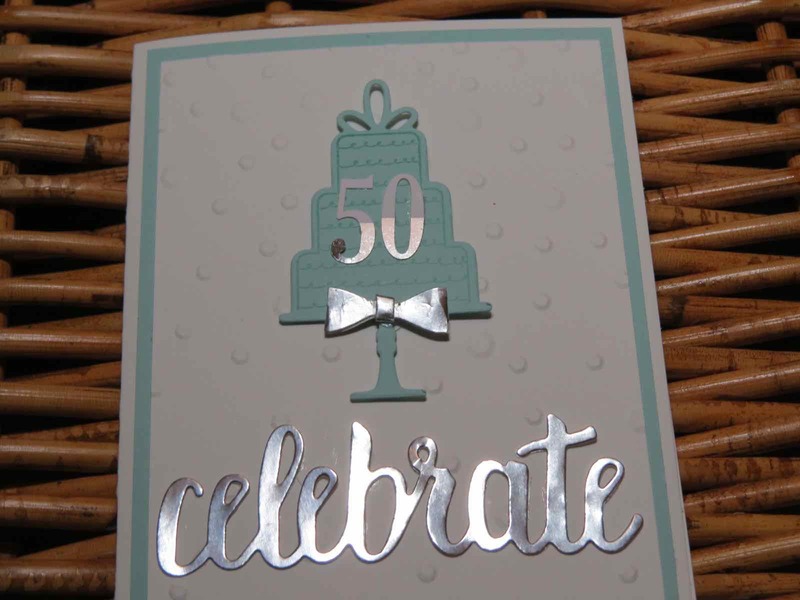 The silver Celebrate is from the Sale-a-bration Celebrate You thinlit dies. It is a level 2 item which means you need a $120.00 order to get it for free. 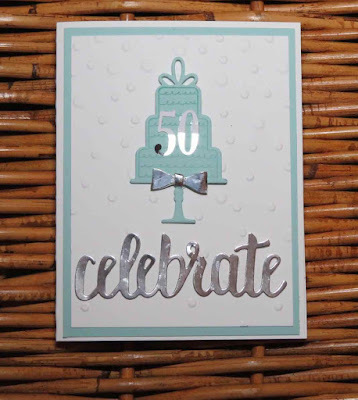 The numbers are from the Sweet Soiree embellishment kit. I love this kit and it comes with die cut images, tassels and washi tape.